Like a lot of other people, I’m getting familiar with a new iPad mini during this first week of its availability, and so far I can unequivocally state that my wife will steal it from me if given any opportunity. But while other writers are thinking about how it fares for average customers (my take: people are going to love it), I want to look at the iPad mini in terms of how it would work for photographers. After using iPads since the original model, I’ve become convinced that the tablet is a great addition to a photographer’s camera bag, regardless of whether you’re a pro or casual shooter. 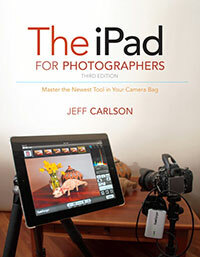 In fact, I was inspired to publish a book earlier this year, “The iPad for Photographers,” that goes into depth on the topic. The iPad mini will appeal to photographers much in the same way it appeals to most potential customers: the smaller size and reduced weight is a draw for folks who want a better look at their photos when shooting in the field, but pros who need to show off their work in the best possible way may opt for a full-size iPad with a Retina display. When I wanted to shoot the last day of my daughter’s soccer league, for example, I could have brought either model, but my instinct was to reach for the iPad mini. Because the iPad mini does everything the full-size iPad does, I had no concerns about being limited later when I would review and share photos from a coffee shop. iPad mini in the Field — Photography involves gear. That could involve capturing photos with a point-and-shoot camera, or carrying a DSLR, several interchangeable lenses, a portable lighting kit, and more. And digital photography — which has mostly become a redundant term — also involves a computer of some sort for storing and working with the photos you shoot. Laptops make this process easier, but they also involve gear, especially if you’re shooting on location, or going on vacation where you may want to avoid any temptation of work. Portability becomes paramount, and although the 9.7-inch iPad is a big improvement over laptops, the iPad mini is a revelation. It occupies less space and weighs far less than a regular iPad, while still giving you a screen for reviewing photos that is far better than the tiny LCD on the back of most cameras. The extra gear required for an iPad mini could fit into an envelope. A sync cable and power adapter for charging, and some way to get photos directly from a camera onto the iPad. Apple now sells two camera adapters: the Lightning to SD Card Camera Reader and the Lightning to USB Camera Adapter, each priced at $29. If you already own the iPad Camera Connection Kit (also $29, but you get both USB and SD adapters) for older iPads, and you want to continue to be able to use both adapters, you’ll need to buy a Lightning to 30-pin adapter (available as a $29 one-piece adapter or as a $39 0.2m cable). Or, you can get an Eye-Fi wireless SD memory card for your camera and transfer photos via Wi-Fi. With 10 hours of battery life (which some people are reporting is a conservative estimate), the iPad mini doesn’t demand that you scramble for a power outlet after just a few hours of use. When you do have to recharge the device, it doesn’t take as long as the Retina iPad models, which contain massive batteries that can take 6 to 8 hours to fully charge. Non-Retina Isn’t a Problem — The top criticism of the iPad mini is the screen. Or rather, it’s the screen it doesn’t have: a Retina display. The iPad mini’s screen has the same resolution as the iPad 2 at 1024 by 768 pixels, though the pixel density is higher, at 163 ppi, thanks to physically smaller pixels. People accustomed to Retina displays will notice a difference when reading text, but photos look great, even when you zoom in to check whether an image is in focus or to spy details. And in general, I’m noticing that the more I use the iPad mini, the less I care about the reduced resolution compared to my third-generation Retina iPad; it’s a jarring adjustment at first, but my eyes have adjusted. Resolution aside, the screen on the iPad mini is still very good. When I compared some samples with the fourth-generation iPad with Retina display, I found the iPad mini to be a bit cooler (or the Retina iPad a bit warmer), especially when looking at an app like iBooks. For photos, the Retina screen fares better in terms of saturation and warmth, but not dramatically so. This comparison shot, taken with a Nikon D90, makes the effect more pronounced than it appears in person. You’re definitely paying more for a better screen in a Retina iPad, but for more casual use or for getting a better read on how images are shaping up in the field, the iPad mini is perfectly fine. It’s the Ecosystem — Perhaps the most important aspect of the iPad mini is that it’s still a fully functional iPad. Too often we think of something “smaller” as having fewer features, and Apple certainly could have made a single-purpose device like an Amazon Kindle. But the iPad mini runs the same software as its larger siblings, which gives you a portable photo studio in your camera bag. You can review, rate, and tag photos using an app such as Photosmith; edit them in iPhoto for iOS or dozens of other apps; and post them to your favorite photo-sharing sites. That’s in addition to using the device for keeping up with email and news, storing ebooks and camera manuals as PDFs for easy reference, and, of course, playing games during downtime. 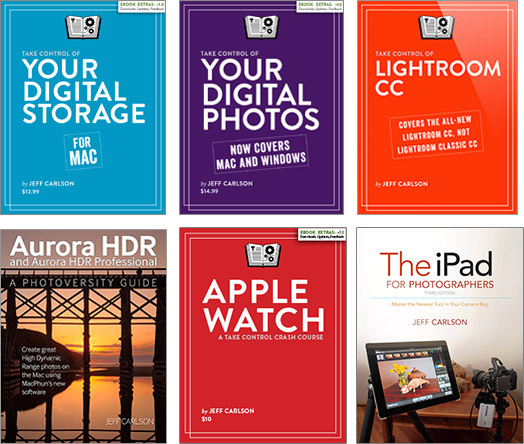 Many photographers may not be interested in the iPad as a photo studio or in-the-field reviewer, but they do see it as a great portfolio presentation device. It’s so much more convenient to meet a potential client in a coffee shop with an iPad instead of a bulky photo album. The iPad mini runs dedicated portfolio software such as Portfolio for iPad, so you can definitely keep your best photos at easy reach. However, the larger screen of the Retina iPad makes for a more dramatic impact if you’re selling your photos and ability. I expect pro photographers will stick with a Retina iPad for this purpose. iPad mini as Camera — I admit I cringe when I see people holding up a 9.7-inch iPad to capture a photo (it was worse when the only option was the iPad 2, which has a crummy camera), but I’m seeing that happen more often. The smaller physical size of the iPad mini should make shooting photos more tolerable, both in the sense that the cameras have improved — the FaceTime camera on the front is quite nice for video chatting — and that taking photos won’t be as socially awkward; people behind you won’t be watching your iPad as if it were a small Jumbotron. In terms of image quality, the iPad mini’s 5 megapixel iSight camera performs decently; the fourth-generation iPad with Retina display shares the same camera specs (although the good folks at Boinx discovered that the larger iPad’s camera takes slightly better photos while the iPad mini has a wider field of view). It’s better than having nothing at all, of course, but my iPhone 4S captures better shots, and I would assume the iPhone 5 (which I haven’t used) improves upon that. But really, serious photographers aren’t likely to buy any iPad for its photo-capture capabilities. A Photographer’s Companion — If your most important consideration is size and weight, the iPad mini is an easy choice — and it’s less expensive than a full-size iPad, too, although in either case we’re still talking about spending several hundred dollars. The iPad mini isn’t using the latest, fastest processor, but I haven’t found areas yet that suffer from the difference. Developers must design their apps to work within tight memory and processor restrictions as it is, so it doesn’t feel as if buying an iPad mini means making a significant step down in terms of performance. The simple truth is that you’re using an iPad, only this one happens to be smaller and lighter for those who value those characteristics.